With three daughters, we have owned enough dresses to fill our house at least twice over the years. As the girls grew frilly dress wearing, easy to please toddlers to slightly more opinionated tweens and teens—finding just the right dresses for tweens, like those seen here, to please both daughter and parent is not as easy as it once was! 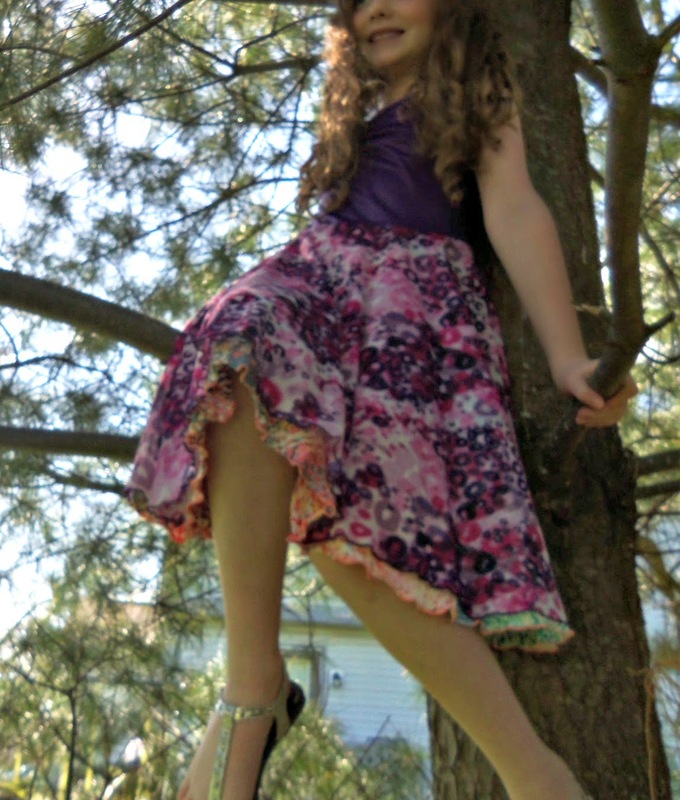 When we were offered the opportunity to review an item from Twirly Girl® dresses for tween girls--the girls were really excited. I was a little worried; though because the garment that we would review was to be selected by TwirlyGirl® and not by one of my (slightly opinionated) daughters. 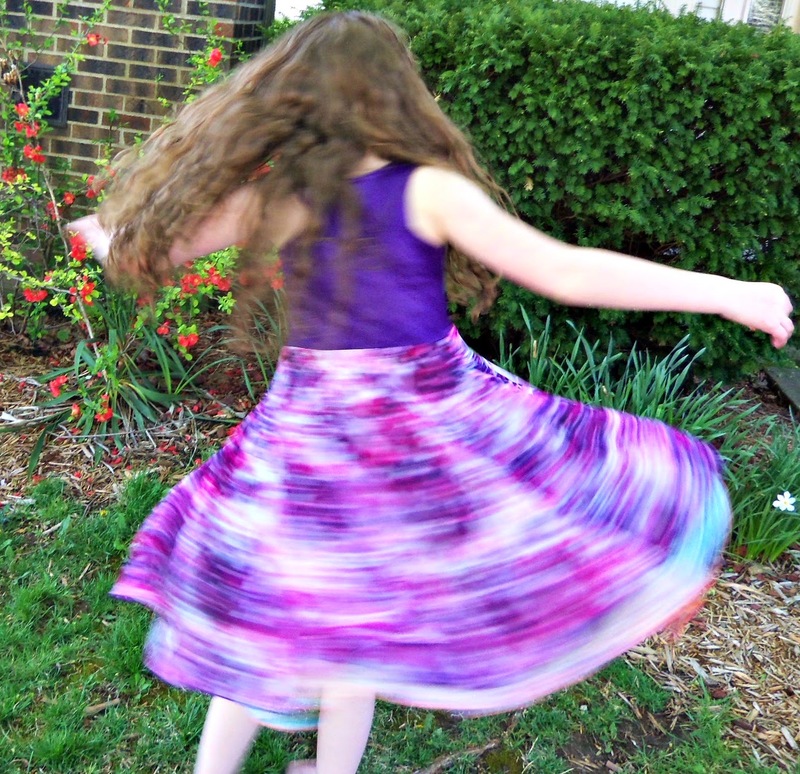 How did the TwirlyGirl® Reversible Twirly Racer dress for tweens stand up to review here in our busy little corner of the world? Twirly Girl® understands fun. 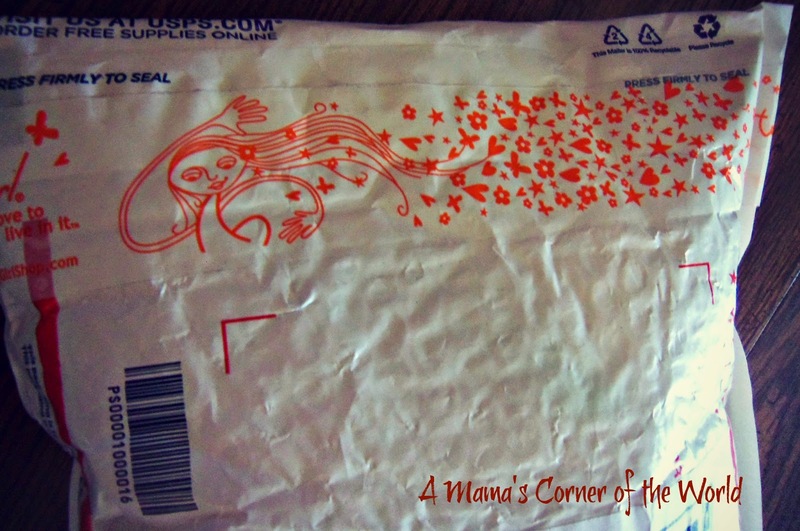 We receive packages in the mail frequently—but, I think this was the most fun package the girls have ever gotten. We’ve all ordered clothing online. 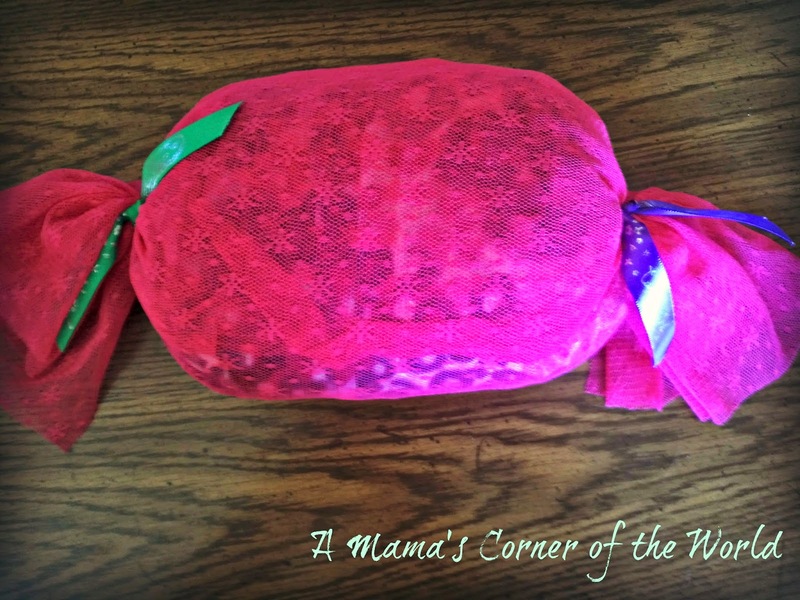 It comes in a boring brown box or postal envelope—usually wrapped in a plastic bag or plain paper. 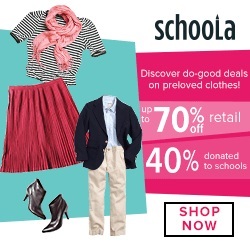 The Twirly Girl dresses for tweens offer an experience which begins with the package. The girls enjoyed the “candy” presentation so much that they took pictures to send to Grandma. Even the printed ribbons were girly, fun and original. I think the girls were sold on the dress before either had seen it--how could a dress wrapped up like a piece of holiday candy NOT be fun? 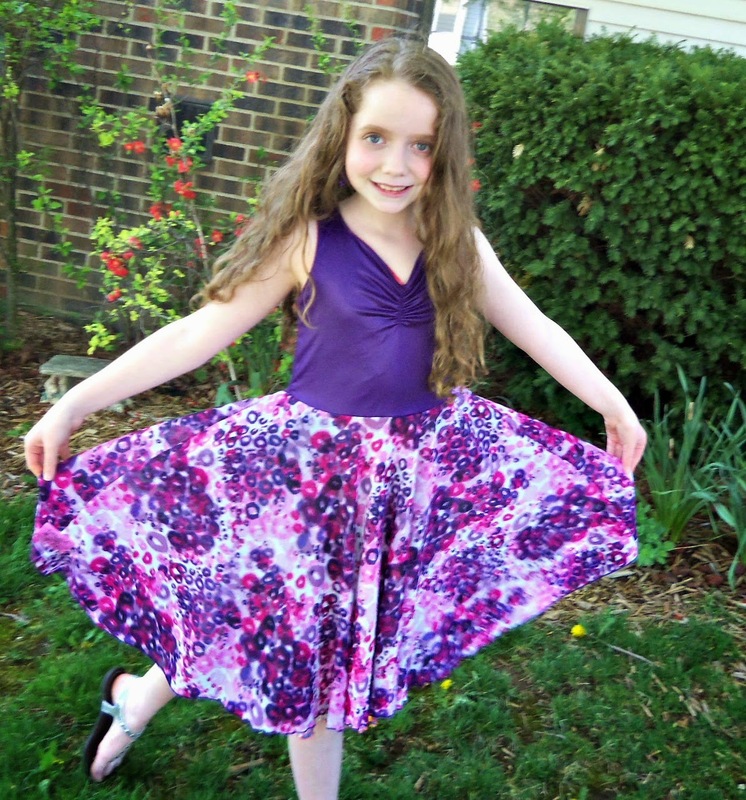 What did the girls think of the TwirlyGirl® Reversible Twirly Racer Dress? 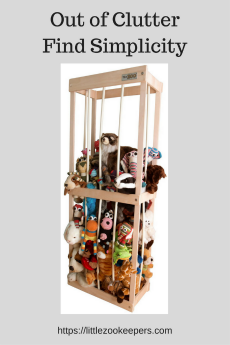 This is where TwirlyGirl® really hit the mark with this mom. The Holiday Joyous Dance design was perfect. One side of the dress was a slightly, calm, feminine, deep purple with a fun print—while the other side combined a vivid display of bold, fun prints, patterns, and colors. The girls immediately fought over who would wear the dress first. Bear in mind—these two rarely (ever) agree on anything. They both loved this dress—one preferred the purple side and the other the boldly printed one—but, it was like getting two dresses in one. We found the dark, purple side more appropriate for a music recital—while the other side would make a fun, summer dress for events. 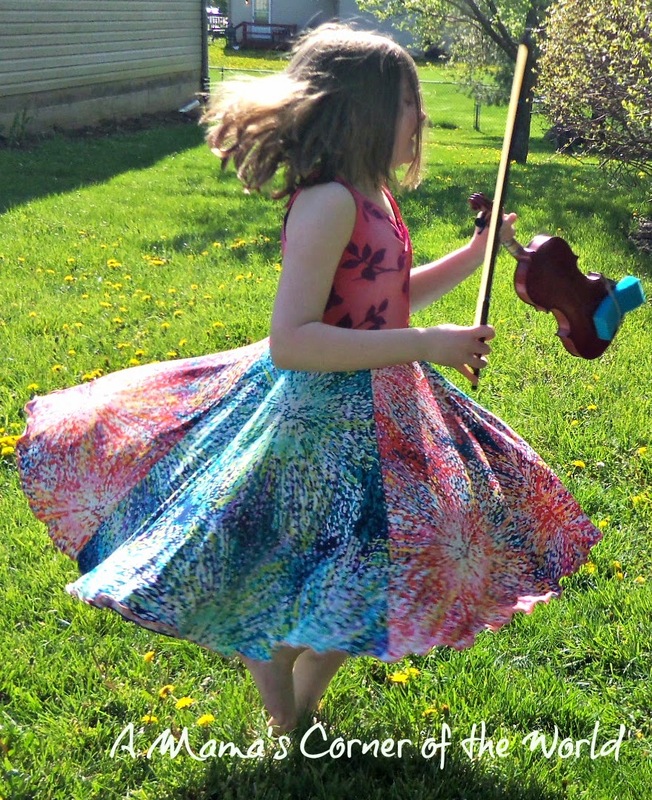 It’s impossible for even the most proper tween to resist a little twirling. The girls have never giggled so much while wearing a dress. Twirling was a must. These are certainly fun dresses for tween aged girls. Twirly Girl combines girly fun with quality. The sizing is fairly true to size—my oldest daughter is a true size 10 and the dress fit her very well. My younger daughter is a slightly shorter, heavier, size ten--and the dress held just enough "stretch" to fit her well also. The reversible dress is a bit heavier than you may expect--as I said, the reversible Twirly Racer Dress is like getting two dresses sewn into one. The girls wore the dress several times and it held up well without snagging and washed well; keeping its shape and feel. We did notice that the inner bodice would sometimes slip upward around the neckline—but, the color was still complementary enough that it wasn’t so noticeable. Would we recommend TwirlyGirl® Reversible Twirly Racer Dress? My girls love this dress—and I really think it is durable enough to stand up to frequent, casual or dressy wear without issue until the girls outgrow it. This dress has a retail price of $78 currently—but, the reversible ones actually prove to be a great bargain in the end. I would certainly buy other TwirlyGirl® products. Disclosure: We received a complimentary dress to review in this post. We were not compensated for our post and all opinions are our own. I have been inspired by bloggers like you to share my journey with Huntington's disease. 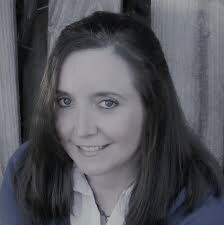 I would be honored if you would follow as I share my heart and story.